As these geopolitical forces play out, how can governments and developers harness the benefit? Infrastructure development has become one of the great battlegrounds of our time. The world’s three largest economies – the US, China and Japan – are actively manoeuvring for economic and geopolitical influence through an infrastructure funding and investment race across emerging markets globally, with Asia Pacific taking centre stage. But how should governments and developers that sit within targeted countries handle this newfound attention? How can they turn it to the advantage of their people? This infrastructure race will clearly have a major impact on the future of global trade and supply chains, manufacturing and services, but also in the development of strategic, long-term alliances. It has been kicked into a higher gear with China’s trillion-dollar Belt and Road Initiative (BRI), which has woken the world afresh to the strategic implications of infrastructure and energy development. It is also clear China has turned its investment sights closer to home. Recently released data from Baker McKenzie and Rhodium Group show that combined Chinese FDI into North America and Europe fell 73% in 2018, from $111 billion in 2017 to a six-year low of $30 billion last year, due to a combination of new controls at home and greater investment screening in target nations. This means the Asia Pacific region will be more of a focus for China than ever. Meanwhile, the intensifying of the US-China trade war has been accompanied by a much more assertive US approach to geopolitical influence building in Asia Pacific, including the launch of the so-called “Indo-Pacific Strategy”, a fledgling but serious rival to the BRI. As these major geopolitical developments proceed, Japan continues to play the long game. Japanese developers and financial institutions (including its export credit agency) have, cautiously and over time, built up extensive networks and experience around infrastructure development across South-East Asia and beyond, mainly to shore up anaemic growth at home. This, along with its relative geopolitical neutrality, means Japan is today in the unique position of being courted by both China and the US to join the countries’ respective infrastructure development efforts. Reflecting this unique position, at a recent summit in Tokyo, the leaders of Japan and five South-East Asian countries agreed to adopt a new policy that pushes forward more than 150 projects in the Mekong region, using official “development assistance” from Japan under the auspices of the Indo-Pacific Strategy. Less than three weeks later, Japanese prime minister Shinzō Abe was in Beijing to sign an agreement between Japan and China to jointly facilitate around 50 private-sector infrastructure projects across Asia and beyond (first up a new “smart city” in Thailand), while the Japan Bank for International Cooperation agreed to establish a joint financing framework with the China Development Bank. How long Japan will be able to actively support and participate in both Indo-Pacific and BRI efforts without the US, China or both pressuring the Abe government to effectively take sides remains to be seen. 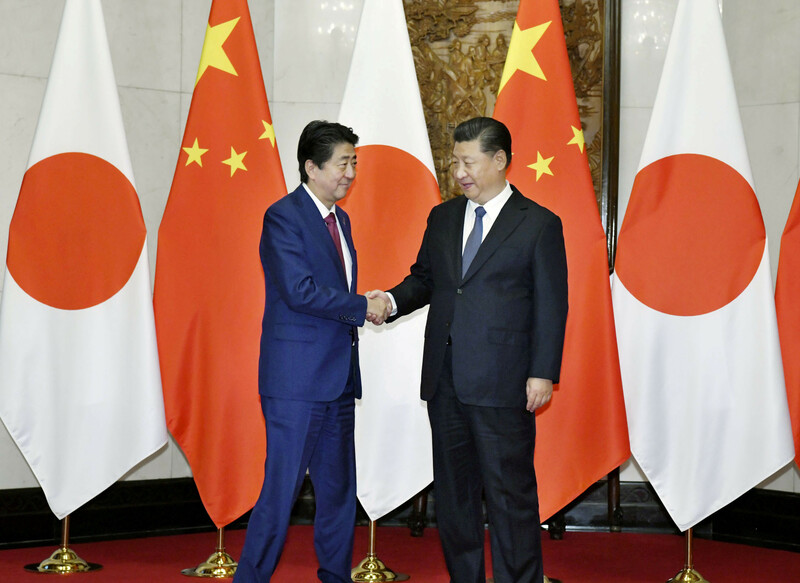 Playing the long game … Japan's prime minister, Shinzō Abe, meets Chinese president Xi Jinping in October 2018. As these historical forces continue to play out, how can governments, developers and private sector organizations harness this geopolitical competition for the benefit of their customers and citizens? Let's take the example of Thailand. With its position at the heart of the Mekong region, and as South-East Asia's second-largest economy, the kingdom is a prime target for both BRI and Indo-Pacific efforts. And with fiscal constraints, it is inevitable that the Thai government will continue to seek international assistance from development finance institutions, commercial banks, investors and developers to close its infrastructure gap. But how do Thai authorities and developers choose what's best for the long-term success of their projects and the nation? For many governments, the promise of bilateral lending from a Chinese policy bank with seemingly fewer strings attached has been main lure of BRI over the past five years. But with growing concerns around long-term debt levels, and some challenging working relationships experienced when developing projects with China alone, this first phase of BRI is starting to wind down. 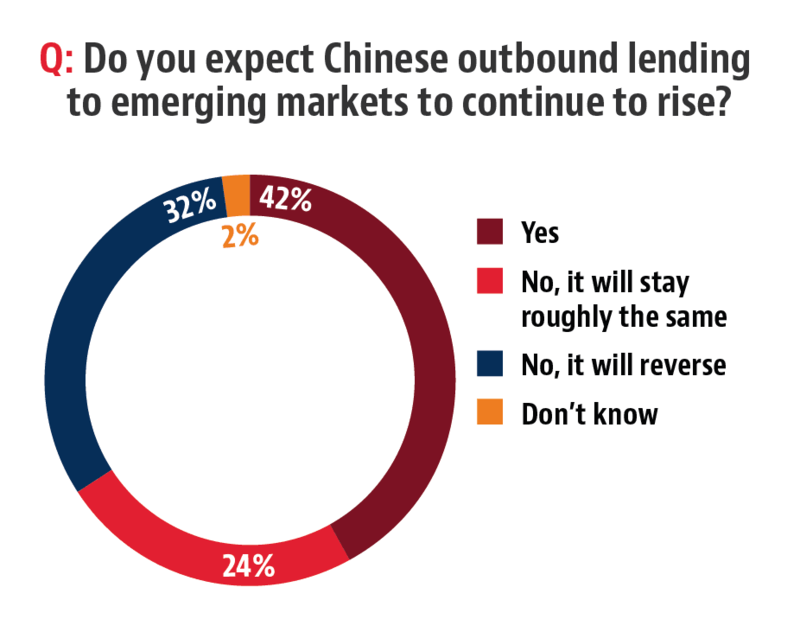 A survey on Chinese lending conducted by Baker McKenzie. More positively, as evidenced by the new Sino-Japanese agreement on “third-country” infrastructure development, the next phase of BRI is in sight. Countries such as Thailand will have a broader choice of highly active, multilateral development funding providers, including combined Chinese and Japanese lending. 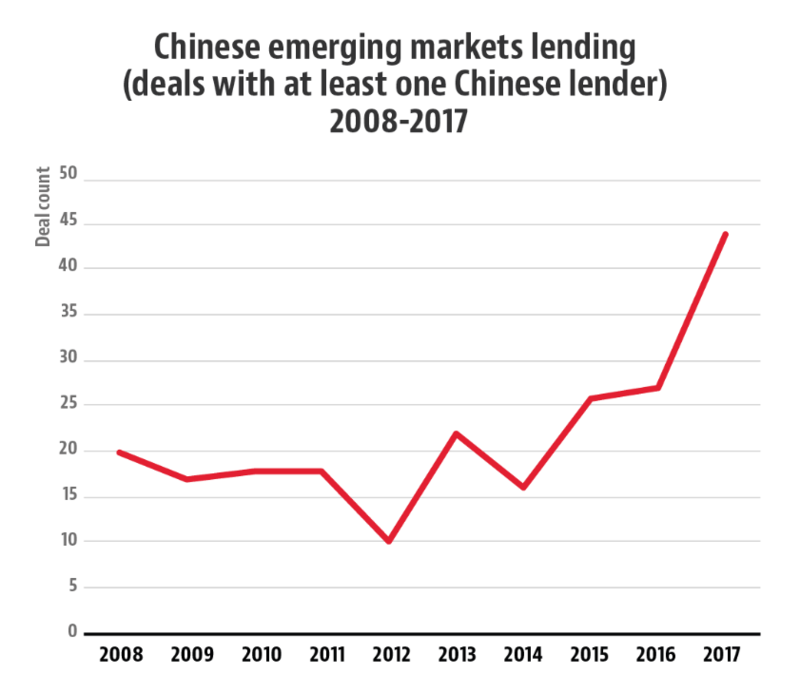 According to our recent research on emerging market infrastructure finance, while funding through multilaterals may have more stringent lending criteria, in return these arrangements are likely to encourage greater interest from commercial lenders, investors and other private sector market participants. Since 2017, Chinese policy banks and developers have also been directed by the Chinese government to more effectively assess and manage social and environmental concerns in host countries – something that a multilateral approach should help to foster further. And politically, a project that has multilateral funding is likely to be a significantly easier sell at home; for countries, such as Thailand, that have been doing infrastructure business with Japan for decades, there are established networks, and a level of comfort, to take advantage of. 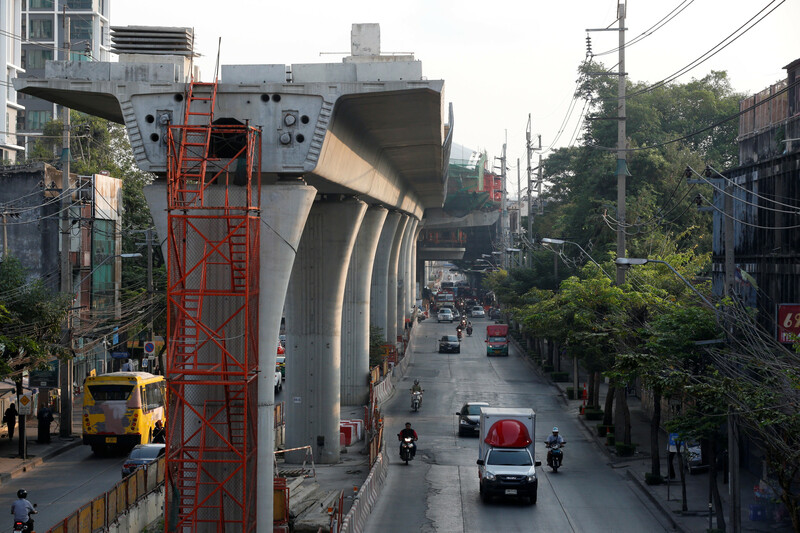 The construction of an elevated train line in Bangkok, Thailand. It is clear from the variety of projects recently committed to at various major summits that Thai authorities are comfortable working with both sides of the US-China geopolitical divide. Take the aforementioned Thai smart city, announced in Beijing and currently being developed around two hours south-east of Bangkok. Japan's Yokohama Urban Solution Alliance, along with the Chinese construction company JSCC, and Amata, Thailand's biggest name in industrial park construction, are set to begin construction on the project almost immediately. Meanwhile, the Japan Bank for International Cooperation, the US Overseas Private Investment Corporation and Australia’s Export Finance and Insurance Corporation have now signed a memorandum of understanding agreeing to work together to fund future Indo-Pacific infrastructure projects. Thailand is set to be one of the first and key beneficiaries of this multilateral effort. For other South-East Asian nations, political changes can cause uncertainty regarding how major infrastructure projects are to be funded, and by whom. But despite the winds of political change blowing through some ASEAN capitals, there is no indication that the door is shutting on BRI projects altogether. And so, if the current geopolitical balance holds, for South-East Asia in particular this is a good news story. Greater competition, and more sophistication in terms of project contracting on all sides, should allow greater leverage for South-East Asian nations to negotiate for better terms and more involvement by the local workforce (if they have adept legal counsel), as well as a greater share of the benefits for the local private sector, while multilateral lending should alleviate some concerns about the long-term influence of one nation over another. For those governments, local authorities and private developers in emerging markets that have viable infrastructure project plans on their books, now could be a uniquely opportune time to forge ahead.